The Zafiro®640 Micro MWIR camera offers 640 x 480 MWIR pixel resolution, an advanced 12 µm pixel pitch design, low power operation that requires only 5 W at room temperature, 14-bit corrected digital video, and HgCdTe HDVIP® technology. 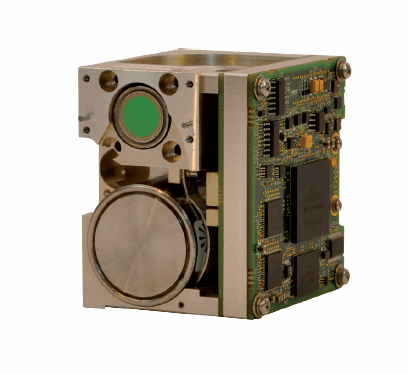 This MWIR camera is mostly used in space-restricted applications such as in UAV payloads, handheld/battery-powered devices, and concealed surveillance applications. It’s ultimately well suited for any imaging application that requires the ability to image through rain, smoke, dust, haze, light fog, and nighttime conditions. The Zafiro®640 Micro MWIR camera has a spectral response of 3.4µm – 4.8µm, a 70 dB output dynamic range, 150 µV readout noise, a maximum pixel output rate of 80 MHz, and a 30 Hz frame rate. Its operating temperature range is -40oC to 71oC, and it has a less than 2.5 minute cool down time (typical) at room temperature. For more information on features and specifications, download the datasheet.